MINISTRY of National Development (MND) scholar Tan Chee Seng has an enviable career and an impressive resumé to boot. 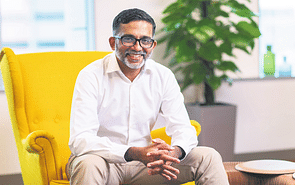 The 40-year-old recipient of the MND EDGE (Executive Development and Growth Exchange) scholarship is currently reading for his Master of Business Administration (MBA) degree from Nanyang Technological University (NTU). Mr Tan has a bachelor’s degree in civil engineering and a master’s degree in contemporary China from NTU, as well as a master’s degree in applied economics from Singapore Management University. 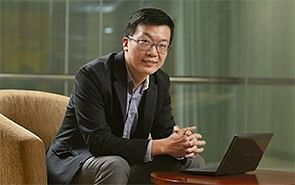 Prior to pursuing the year-long MBA, he was the deputy director of MND’s research and strategy management division. “I am very excited to be part of an MBA programme that offers both the conceptual framework and practical knowledge of leading and managing an organisation. I look forward to applying what I learn in class to my next posting within the MND family,” he says. In his previous role as deputy director of strategy management, Mr Tan led a team of 10 officers in policy strategy, international relations strategy and emergency preparedness units within the division. His work in policy strategy involved building a more forwardlooking culture within the MND family by driving a strategic planning process that helps shape the future direction of MND. He also coordinated strategy management initiatives from the Whole-ofGovernment (WOG) level. “I was in charge of drawing up a strategic planning process for MND. The process enabled management to make sense of the risks and uncertainties on the horizon, and decide on steps that MND should take in order to prepare for the future,” explains Mr Tan. In drawing up the plan, he had to come up with solutions to both short-term problems and longer-term strategic issues. One of the more interesting and challenging aspects of Mr Tan’s job was dealing with emergency preparedness. He recalls that his team was required to coordinate multi-agency efforts across the WOG. One of their key responsibilities was to provide government quarantine facilities (GQFs) during public health crises, such as the severe acute respiratory syndrome (Sars) outbreak. In addition, the GQFs were put on standby as a precautionary measure in the event that infectious diseases such as the Middle East Respiratory Syndrome Coronavirus (MERS-CoV) spread to Singapore. Being a leader in MND gave Mr Tan the opportunity to attend the Leaders in Urban Governance Programme (LUGP) in 2015. The course is curated by the Centre for Liveable Cities for management-level public service officers in the infrastructure and environmental sectors. 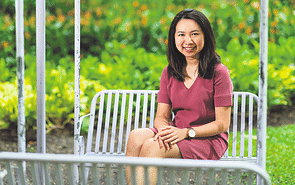 Its structure allows one to gain an understanding of Singapore’s model of urban governance, and build networks with various government agencies and the participants involved in integrated urban solutions from the private sector. In the same year, Mr Tan, as part of LUGP, went on a week-long study visit to New York in the United States. There, he was exposed to many urban planning and development ideas that could potentially be adapted to Singapore’s urban landscape. “I found the course enlightening, and I benefited from our numerous engagements with retired civil servants who explained the background and historical context behind many of our current policies and practices,” he shares. 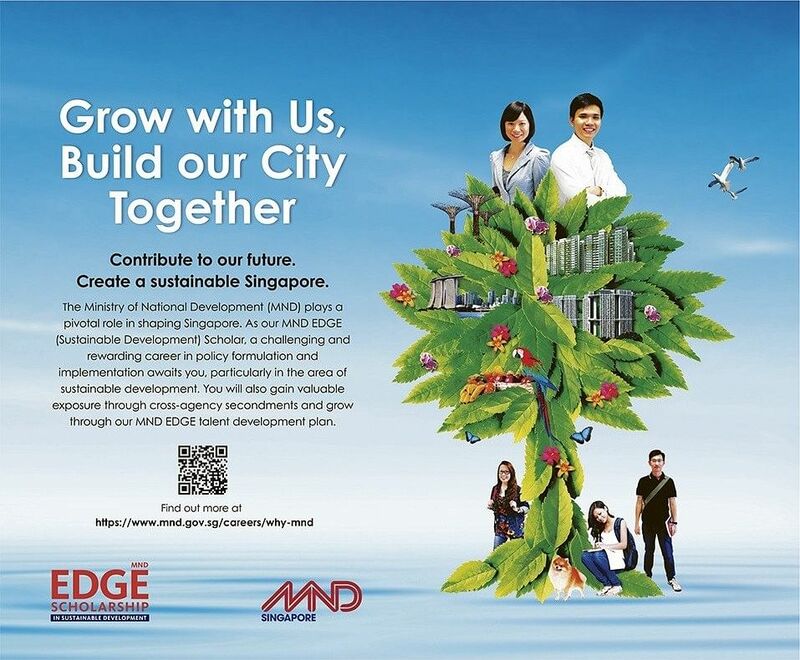 Collectively, MND and its statutory boards offer seven undergraduate scholarships under the MND EDGE Scholarship brand. Beyond financial sponsorships, MND EDGE scholarships provide scholars with development opportunities, including structured training, job rotations, professional attachments and opportunities to be seconded to agencies across the MND family and other agencies. 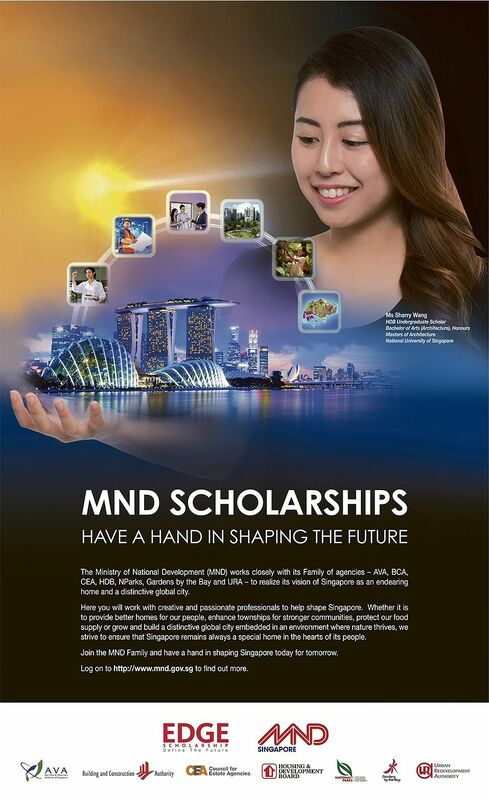 Having benefited from the various courses and staff development programmes that MND offers, Mr Tan has handy advice for those who are looking to apply for similar scholarships. “When you attend career or scholarship talks, engage the officers or past scholarship recipients to find out more about their work, and seek out career options that will be best aligned to your interests,” he says.